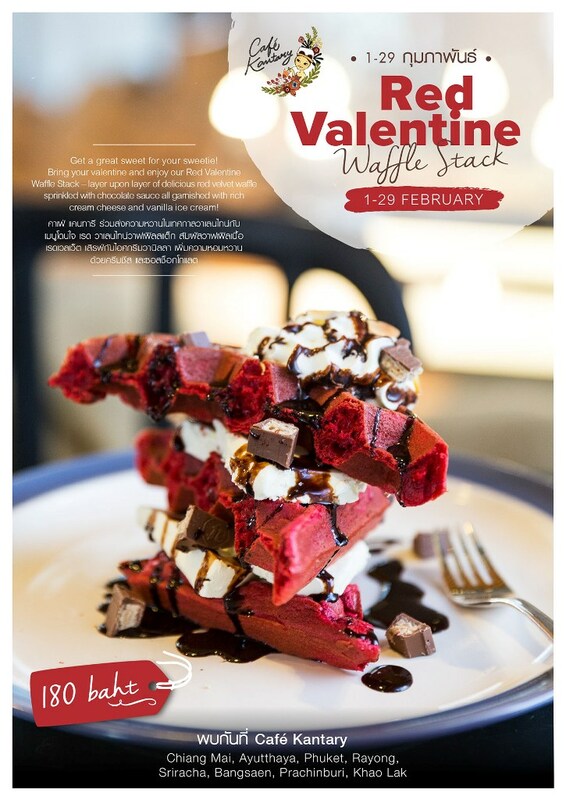 Throughout the month of February, Café Kantary invites you and your valentine to enjoy our Red Valentine Waffle Stack – layer upon layer of delicious red velvet waffle sprinkled with chocolate sauce all garnished with rich cream cheese and vanilla ice cream. Enjoy this delicious dish for 180 baht, available at Café Kantary locations throughout Thailand! วันที่ 2 กุมภาพันธ์ 2559 เวลา 11:07 น.